St. Patrick’s Day is coming. That’s right. Time to think green. It’s all about the festivities and keeping things up-beat and awesome! 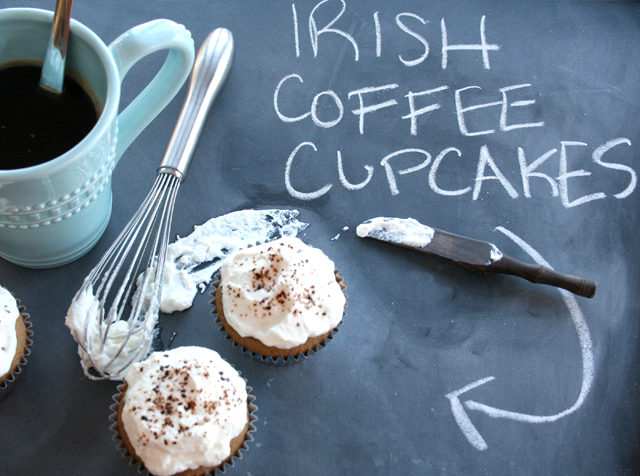 If you’re a fan of the Irish holiday, then I’m sure you love your Irish coffee and, if you’re a foodie like me, then I’m sure you love your cupcakes. 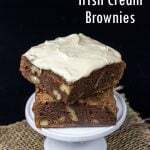 What better way to celebrate St. Patty’s Day than by putting these two wildly different things together and and coming out with a delicious and decadent Irish Coffee Cupcake? Deliciously tasty and not overly sweet, these cupcakes, spiked with whiskey, are a definite must have for your get-together! 1. Preheat your oven to 350’F. 2. Begin by whisking together the flour, baking powder, baking soda, and salt. 3. Pour water over the espresso powder, mix gently, and let cool completely. 4. Once cooled, combine the espresso with the whole milk. 5. In a large bowl, beat together the butter and sugars, at medium speed until light and fluffy – approx. 3 minutes. 6. Add the eggs, one at a time, and mix until incorporated. 7. Alternately beat in the flour mixture and the espresso mixture, beginning and ending with the flour mixture. 8. 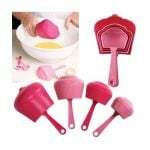 Fill prepared baking cups approx. 3/4 of the way full and bake for 20-22 minutes and until a toothpick inserted in the center comes out clean. Let cupcakes cool completely. 9. To make the frosting, whisk together the cream and the confectioners sugar until medium peaks form. You can test this by raising the beaters from the bowl and seeing what kind of peaks form. 10. Add the whiskey and whisk in until stiff peaks begin to form. 11. Spread approx. 2 tbsp. of frosting onto the cupcake and top with a dusting of espresso powder. Congrats on the new gig! The cupcakes look delicious. You’re awesome. Thank you for stopping by! Looks great! Good job on the pics, too! Thank you, Carrie! They taste even better! 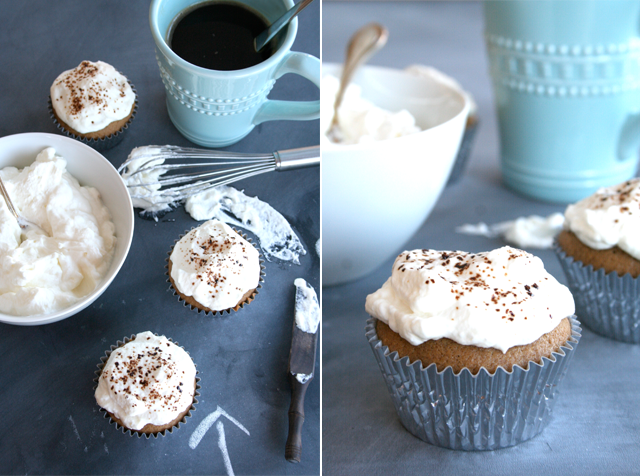 I’ve never had Irish coffee before since I’m not a huge fan of whiskey or coffee, but these cupcakes are an amazing adaptation! I want my coffee in cupcake form from no on! I’m not a huge fan of whiskey either, so it’s totally possible to omit it completely and still have the best cupcake EVER! Irish coffee is delicious. 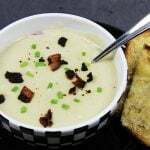 Only 1 more month until I can buy the whiskey to make these! Stupid American laws. Thanks, Kaitlin! You’ll have to try them as soon as you can legally eat them!